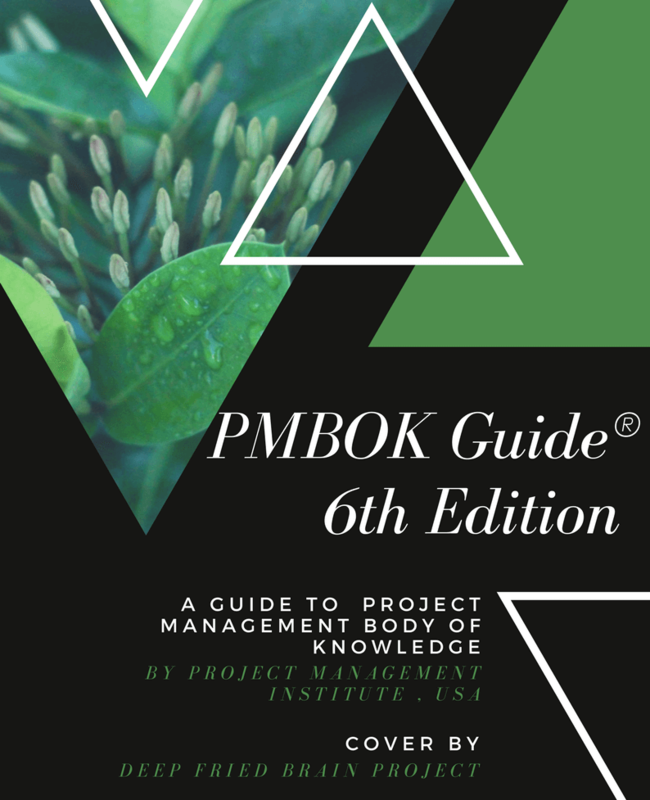 The PMBOK® Guide, 6th Edition was released on Sep 6, 2017. Being an active PMI member, I was able to download PDF version of the PMBOK Guide, 6th Edition on the same day for free. To my surprise, the PDF file had 2 guides inside - the PMBOK® Guide, 6th Edition and the Agile Practice Guide. The first 800-odd pages are the PMBOK Guide, and the next 180 are the Agile Practice Guide. The former is applicable to the PMP® Certification and CAPM® Certification certifications, while the latter is applicable to the PMI-ACP® Certification. Appendix X1 of the PMBOK® Guide, 6th Edition provides a complete list of changes to the Sixth Edition. This post is a summary of changes compared to the 5th edition of the guide, and my analysis of the changes. The Sixth Edition of the PMBOK Guide aligns the guide with PMI’s Role Delineation Study (RDS) of 2015. The PMP Exam was updated in Jan 2016 to align with the RDS findings, but the PMBOK Guide was not. This Sixth Edition of the Guide is now “catching up”. The Sixth Edition aims to make the guide more consistent and to provide better clarity on the project management processes and their inputs, tools and techniques, and outputs. The guide also ensures harmonization with other PMI foundational standards. There are many significants updates in the Sixth Edition. PMI acknowledges that in recent years there has been more adoption of agile and adaptive methodologies in the management of projects. Therefore, there’s a greater focus on Agile/Adaptive methodologies in the Sixth Edition. Let’s start with the changes to the structure of the guide. The Introduction (Chapter 1), Project Management Processes (Chapter 3), and Annex A1 of the Fifth Edition have now been consolidated into Part 2 (The Standard for Project Management) of the Sixth Edition. The Role of the Project Manager, which was part of Chapter 1 in the Fifth Edition is now a separate chapter (Chapter 3) in itself. 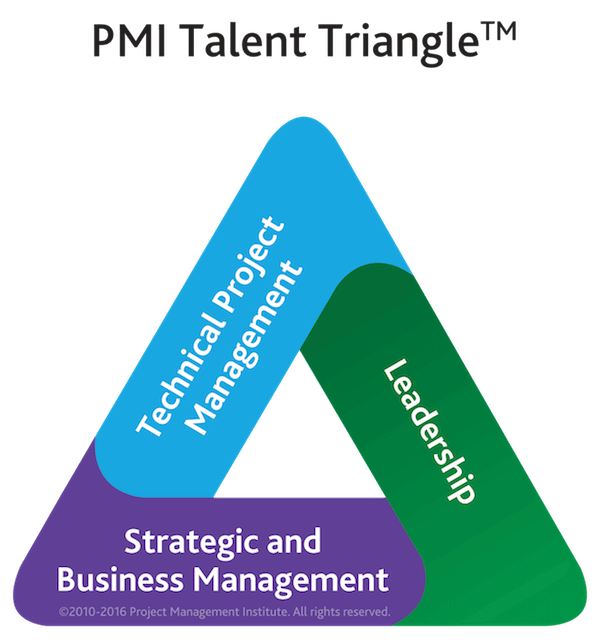 It ties the project managers skills to the PMI’s Talent Triangle. Expect greater weightage on this area in the next update of the PMP exam. Two Knowledge Areas names were changed to more closely reflect the work that is done in those Knowledge Areas. Let’s understand the rationale for these changes. Project Time Management has changed to Project Schedule Management. It took just a few decades for PMI to realize that project managers do not manage “time”, but rather define and manage the project “schedule”. Well, better late than never. Project Human Resource Management has changed to Project Resource Management. Both team resources and physical resources are addressed in the Sixth Edition, and hence the name change. Key Concepts: This section summarizes the key concepts of each knowledge area. For those preparing for PMP or CAPM certification, this section can be used for revising the key concepts quickly. Trends and Emerging Practices: This section identifies some of the trends or emerging practices that are occurring, but that may not be practiced on most projects. Tailoring Considerations: The PMBOK® Guide, 6th Edition puts a lot of emphasis on tailoring all aspects of the project to meet the specific needs of the organization and stakeholders. 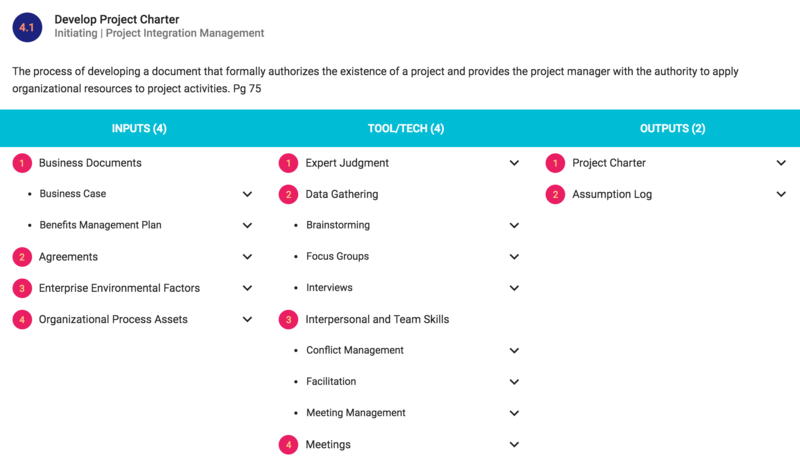 This section identifies the areas that project managers can consider when tailoring their project. Considerations for Agile/Adaptive Environments: This section identifies areas where Agile/Adaptive approaches may differ from predictive approaches. Five processes have been either added, or moved to a different Knowledge Area, or entirely removed from the Sixth edition. Let’s understand these changes better. Manage Project Knowledge (Section 4.4) - Added. This was added to address the need for knowledge management in projects. Due to the distributed and mobile nature of the modern workforce, there’s more focus on knowledge management and information management, so that knowledge and information does not get lost. A key output of this process is the lessons learned register. This aligns with the “lessons learned management” task that was introduced in Jan 2016 update of the PMP exam. PMI emphasizes the need to learn continually throughout the project rather than waiting until the end to reflect. Since the Knowledge Area Project Human Resource Management has been repurposed as Project Resource Management (taking both human and physical resources into its folds), the Estimate Activity Resources process has been moved to the Project Resource Management. In the Fifth Edition, Project Human Resource Management had no “Monitoring and Controlling” process. That was indeed puzzling. With the Sixth Edition, the Control Resources process has been added under the Monitoring and Controlling Process Group. Implementing Risk Responses was previously considered part of Monitor and Control Project Risk Process. But now it has been separated into a separate process under the Executing Process Group. This change makes sense to me. According to market research done by PMI, contracts are usually closed by contracts, procurement or legal departments, and not by project managers. Therefore, information from Close Procurements about evaluating all completed deliverables and comparing them to the contract was moved into Control Procurements. Information about administrative, communications, and records was moved to Close Project or Phase. Total processes have increased from 47 in the Fifth Edition to 49 in the Sixth Edition. The use of the term “Control” has been replaced with “Monitor” especially in processes that involve people. Nine processes have been renamed. Question to PMI - Why was the new process “Control Resources”, not named “Monitor Resources”? I have good news and bad news here. The good news is that the Guide is more consistent than the previous editions and does a much better job of explaining “why” an input or a tool or technique is used in a process. This had been a problem area with the previous editions. PMI claims that the number of tools and techniques has been reduced. But contrary to that, my analysis tells me that the number has increased from 118 to 131 unique tools and techniques (11% increase). The overall number of ITTOs has increased from 618 to 722 (17% increase) and that is despite the grouping mentioned above. If you count the leaf nodes (without grouping), the total ITTOs are 1452 (135% increase). I can’t help but feel sorry for those who’ll be taking the PMP and CAPM exams for the Sixth Edition. Refer to ITTO tricks for PMP Exam for tips and tricks for mastering ITTOs. If you want to absolutely nail the ITTOs like a pro, then ITTO Explorer is the tool for you. Click on the image below to access the tool. Unfortunately, PMI has forbidden the printing of the PDF version with the PMBOK Guide, 6th Edition. Previously, you were allowed to print 1 copy of the guide for your personal educational use. But not anymore. To top that, there’s a big, bold and ugly watermark on every single page of the guide now. It is super distracting and annoying. I hate it. The file owner’s name and PMI ID are already stamped in the footer section of each page. PMI is getting overzealous in protecting its content with each edition of the guide and it’s got to the extent where it’s directly impacting the readability. The changes to the Sixth Edition of the PMBOK Guide are quite significant. There’s greater focus on Agile and adaptive methodologies, benefits management and knowledge management. All these changes are aligned with the recommendations of RDS 2015 and some have already been incorporated into the PMP exam since Jan 2016. Overall the guide is indeed more consistent, detailed and clear compared to the previous editions. PMP Exam has changed on March 26, 2018 to align with the PMBOK® Guide, 6th Edition and the CAPM Exam is going to follow suit on May 21, 2018. If you are preparing for the PMP Exam, you’ll need to refer to the Sixth Edition of the Guide. Hope you found this post useful. I look forward to your questions, comments and suggestions. PMBOK 6th Edition PDF Download for PMP Certification: PMBOK Guide Sixth Ed (PDF) is available for download FREE of cost for PMI Members. Why can’t I Print the PMBOK Guide, 6th Edition PDF? Thanks, nicely summarized. Can you complete the key changes section too? Thanks for your comments. I haven’t had a chance to work on it for the past 6 weeks or so and the next few weeks look tight as well. But I’ll try to dive into again as soon as possible, and update this page and other content on the blog as I learn more. Thank you so much for sharing this useful article. Please you also share the ITTO excel sheet based on PMBOK Edition 6. Unfortunately, I cannot share the ITTO related material because that would be illegal to do so without PMI’s permission. And they won’t give permission for it to be shared. Thanks Harwinder for this article. Just want to ask whether Part 3 - AGILE PRACTICE GUIDE chapters will also come in PMP exam. Please clarify. While the entire Agile Practice Guide is not in scope of the PMP exam, going through it may still help because you need to know some Agile / Adaptive project management concepts and principles, which are mentioned in the PMBOK Guide, for the PMP exam, like iterative development, customer collaboration, sprints, retrospectives, user stories, daily standup etc. So you do need to know the basics of Agile. Does anyone have a good 6th edition ITTO spreadsheet? This has been asked and answered in the earlier comments. Thanks for the good summary of what is new in PMBOK 6th Edition compared to the 5th Edition. The presentation is self explanatory and understandable.